Pricing is variable depending on user needs. Full-feature complete business management software systems. 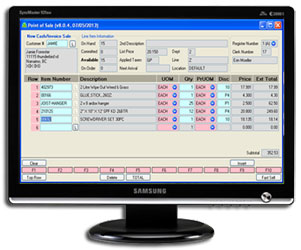 For over 30 years, the Controller Series software has been developed into three unique products, specializing in Building Supply, Marina and Retail Controller software systems. Customer-driven enhancements, customizable features and reporting sets the Controller Series apart and provides businesses with a product that fits with precision. The Controller Series is backed by 24/7 customer support by expert product technicians.